It was a muggy day in May. My long hair was getting caught in the back of my chair again, and I was impatient for the bell to ring. The teacher was droning on and on about boring dates that I was sure would probably be on the test. I flipped through the textbook and the only thing that was really interesting was the pictures. Worn, tired and unsmiling faces. Why were they so grumpy? I wondered. Maybe because they had to sit through a boring class like this. That was my introduction to history. Ironically enough, I discovered a love for it a few years later thanks to onr very excellent teacher, and went on to study it as one of my majors in university. What changed? I realized history was just a study of people in the past, and I love people. I love reading about how they lived, how they worked, how they died. History is all about stories. And I love stories. It’s been many years since that dire history class, or any other class for that matter. But I still love reading about it here and there. Recently, I’ve started to think about something else in history I’ve never considered before – how did people in history worship? How did they live for the Lord? What did they learn? What can we learn from them? I love Dietrich Bonhoeffer. He was a church leader in Nazi Germany who fought against Hitler’s ideals and preached and taught the love of Christ in a very unsettling time. Eventually he was captured while working in the underground helping Jewish people flee Germany. He was eventually sent to a concentration camp and was sentenced to death one short month before Germany surrendered and the camps were liberated. After his death, his sermons and teachings were recorded and still have an impact on people today, 73 years later. God loves human beings. God loves the world. Not an ideal human, but human beings as they are; not an ideal world, but the real world. What we find repulsive in their opposition to God, what we shrink back from with pain and hostility… this is for God the ground of unfathomable love. Judging others makes us blind, whereas love is illuminating. By judging others we blind ourselves to our own evil and to the grace which others are just as entitled to as we are. The Church is the Church only when it exists for others – not dominating, but helping and serving. It must tell men of every calling what it means to live for Christ, to exist for others. Bonhoffer’s words to his congregation in Nazi Germany can apply to so much today. What he spoke then encourages us now as we navigate through a world so confused and so lost that people just need Jesus. Charles Spurgeon preached his first sermon nearly 100 years before Bonhoffer’s death in 1945. Spurgeon’s work as a pastor spurred revival and is so famous he became known as the Prince of Preachers. Yet Spurgeon was a humble man who taught boldly about coming to Christ and living a Christian life. If any of you should ask me for an epitome of the Christian religion, I should say it is in that one word—prayer. If you believe in prayer at all, expect God to hear you. If you do not expect, you will not have. God will not hear you unless you believe He will hear you; but if you believe He will, He will be as good as your faith. To every soul that knows how to pray, to every soul that by faith comes to Jesus, the true mercy seat, divine sovereignty wears no dark and terrible aspect but is full of love. Spurgeon’s words on prayer from nearly two hundred years ago still ring true. George Müller was born thirty years before Spurgeon and was also a preacher. But Müller is better known for his work in caring for orphans and running an orphanage. Still, he had much to say about living in the Spirit. I seek the Will of the Spirit of God through, or in connection with, the Word of God. The Spirit and the Word must be combined. If I look to the Spirit alone without the Word, I lay myself open to great delusions also.It is a common temptation of Satan to make us give up the reading of the Word and prayer when our enjoyment is gone; as if it were of no use to read the Scriptures when we do not enjoy them, and as if it were no use to pray when we have no spirit of prayer. To ascertain the Lord’s will, we ought to use scriptural means. Prayer, the word of God, and His Spirit should be united together. We should go to the Lord repeatedly in prayer, and ask Him to teach us by His Spirit through His word. Müller’s words and life are a testimony to living with great faith. He prayed daily for three friends to come to faith in Christ. He only saw the fruit of that in one friend, and the other two followed after his death. He also demonstrated faith in God in his orphanage. One day, when there was no food in the cupboards, he had all the children come to the table. He thanked God for his provisions and the food they would receive, knowing he didn’t have anything to serve. When he was finished, a milk wagon broke down in front of the orphanage and a bread wagon shortly after. He truly lived on faith and was filled with the Spirit. These three men of history show us one thing – the God of today is the same God as yesterday, and will be the same God tomorrow. God is a God of history. Through all time He remains the same. From beginning to the end. He sits enthroned on the praises of a thousand generations. And one day, He will bring us all together so we can praise His name as one. I have two brothers and a sister, so I know what it’s like to have to wait while a sibling has an awesome birthday. I felt all the excitement and angst on their special days while waiting for mine to arrive. Would I also get cool gifts? Would my cake be as delicious? It really comes as no surprise to me that his brother would have the same excitement and angst, because the two of us are basically the same person. Last year, he couldn’t contain himself and ripped the wrapping paper off his brother’s gifts, exposing what was inside. I had to do some quick repairs, but not before the birthday boy saw. I thought he would be excited to see his spoils, but instead he sat down and cried because his brother had stolen the surprise. Because the best part of surprise is anticipation for what is to come. It’s timely that I recount this memory right now. A few days ago I was told that a medical treatment I was anticipating was not going to happen at this time. Something I had worked hard for all year. Something that would make my days easier and give me more quality of life. With one simple decision on someone else’s part, they’d stolen something from me. I was devestated. If I’m being honest, I came home and wept. I cried myself to sleep that night. And in the morning, I sobbed some more. I felt so deflated. I felt crushed. Abandoned. Let’s take a step back here and re-read what I just wrote. I felt crushed. Abandoned. Key word? Felt. I felt that way. Yes, it was devestating news to me. (Still is). Yes, I wondered why God would allow this to happen right now. (Still do). But ultimately, my feelings aren’t in control of my life – His plans and purposes are. I can feel lots of different things, but that doesn’t mean how I feel defines the situation. Bad news doesn’t mean God abandoned me. I felt crushed, but I wasn’t really. It’s just not my time yet. I need to suffer for a little while longer. God is saying wait. That sentence was easy to write, and I’m sure it’s ready to read. But actually doing the waiting? That’s tough stuff. Because no one likes waiting, especially today. We send a text and it’s received in seconds. We can order a meal and take the first bite in minutes.We can take a plane across the world and be there in a matter of hours. We can order something from Amazon and have it in our hands in two days. We are impatient. We just aren’t good at waiting, because often we don’t have to. We want everything now. But that’s not how God works, is it? His timing isn’t rushed. His timeline looks nothing like ours, and that can be frustrating. We panic when things are out of our control, because the unknown is absolutely terrifying. Even if the Almighty God has it all planned out for our best interest. It’s still so hard to let go and leave it with God. And its that lack of faith and uncertainty which has the potential to cause a rift – creating fear, distrust and bitterness. When God says wait, He’s saying trust Me. When God says wait, He’s saying do not fear. When God says wait, He’s saying be expectant. When God says wait, He’s saying hold on to hope. When God says wait, He’s saying I love you, and you are mine. Sometimes I lose sight of what God says when He says wait. Two days ago, I couldn’t see it. Yesterday I couldn’t see it. But today, He’s making it a little more clear. Imagine your life as a GPS (or if you’re old school, a paper map). Your goals, dreams and hopes are all destinations. You think you know which way you are going, you’ve made plans for along the way. But then you hit construction and you need to detour. As if that isn’t frustrating enough, a voice starts blurting out Recalculating, Recalculating! You’re no longer heading where you want to be, and the journey is different from what you expected. You might travel over tricky terrain. You might miss the stops you planned, but you’ll get to your destination eventually. Waiting on God can be like that. But the beauty of His redirection is what happens on the journey. Sometimes He says wait to increase our faith. Sometimes He says wait to build and shape our character to model His. Sometimes God says wait so that we learn to depend on Him instead of ourselves. Whatever the reason, when God says wait, we need to take pause. We need to press in. We need to relinquish our control. We need to stop questioning and start trusting. My soon to be teenager is highly anticipating his birthday. He’s seen a few of the wrapped boxes (before I hid them away from his brother). He excitedly ponders what lies beneath the paper. He’s counting down the days. He knows the wait is hard, especially as the day dawns nearer and nearer. But he knows the reward is sweet. Waiting is not easy. The destination is always going to be worth the wait. We might get sidetracked, our hearts might break a little, and we definitely will wonder if we will ever get there. But we can rest assured in His perfect timing, we will. So lean into Him. Cry a little. Pour your heart out to Him, because He’s listening. And when He’s ready, we will be too. There’s a lull in my day, so I reach for my phone. It’s funny, there’s lots of choices on this little screen. I could open up Pinterest and look at lovely things. I could crush some candy or swap emojis in a game. I could catch up with friends on Facebook, or send a snap. But, my finger hovers over Instagram and I know it’s where I’m going. It always is. For the same reason we like looking through childhood photo albums of our spouse. For the same reason we can’t wait to see the first picture of a bride on her wedding day. Photos are snapshots of a life. Glimpses of moments that make lasting memories. Photos are ripe with emotion, they make us feel. So Instagram is my happy app. When life is getting messy and stressy and I need a distraction, it’s my go to. Except, sometimes it makes things worse. I love seeing Insta posts of my friends and their families. I love seeing their smiling faces experiencing life. Birthday parties, park adventures, hikes, family outings. It’s so wonderful to see. But then, there are posts from people I don’t know. Posts that are intended to inspire me or encourage me but sometimes they don’t. Sometimes they make me sad. My own Instagram account is a real depiction of my life. My actual life. I thought about that the other day, as I was scrolling through it. I looked back on old memories and smiled, and thought that if a person just started following me and really wanted to know me, Instagram is where it was at. I post about good things and bad things, happy things and sad things. But sometimes when I see everyone else’s happy, I temporarily get lost up in it and fall into that comparison snap trap. Because it’s quick and unexpected. And it steals something from me, as I scroll on through. My friends are so beautiful and their kids are so happy. They can go on long family walks and spend all summer outside. You can’t. Look at is person who got into University and they’re going to be this when they grow up. Your kids won’t make it. They took their family to an amusement park. Their kids are living the life. Yours aren’t. I don’t want to be in this snap trap, because it stings. It makes me feel bad. And also, it’s not true. Because even if someone really was scrolling through my Instagram and saying those things to me, they can’t see everything. He sees the hours I spend each week advocating for my kids at school. The e-mails, meetings, and phone calls that put out fires and others that ignite a purpose and a plan. He sees the hours I spend doing housework, planning and cooking meals, doing laundry. Simple acts of service for my family, and the painful sacrifices I make regularly to make that happen. He sees all that I do, and all that I am. He sees deep beyond my Instagram photos, into the very heart of things. And He fixes me and sets me free. I can’t go for long walks with my family, but they don’t mind going without me for some guy time. I don’t know what my kids will do or be when they grow up. Whatever they do, I just pray they follow God whole heartedly. We don’t do amusement park, but my kids are mostly happy with the life they live. Sometimes it doesn’t feel like enough. Sometimes I feel like I’m choking on everything that is our life. Wondering how we’ll make it. Praying that we will survive. If I’m honest, our whole life feels like we’re in survival mode. Sometimes I wonder if we’ll ever make it past that. But then there is God. Holding us up in our struggles. Fighting through our battles. Lifting our heads. Leading us to hope in Him, to His words that give us courage to keep going. And so we press on. We keep going, we keep surviving. But most importantly we keep holding on to His promises. To His words of hope. Instagram doesn’t make me happy. It didn’t truly bring me joy. It’s just a place to scroll through for a minute or two to escape reality. It just reminds me our lives aren’t glamorous. They’re pretty messy and intense. But in the midst of the mess there’s a giant God given dose of joy. Instagram photos can’t hold a candle to it. It’s not really something you can capture on film. But it’s real, and it’s beautiful. I can truly say the joy of the Lord is my strength, and mean it. Because at the end of the day, He makes all the difference. It’s better than all the photos we could ever take. I’m not a gardener. I have tried to be, but I’m awful at it. I once read that indoor plants could help keep the air clean and filtered. So I went to our local greenhouse and I bought ten baby plants to give it a try. I researched what they’d need for care, set reminders on my phone, bought fertilizer. I tried my best, but I tried too hard. Over watering became their end. I tried too hard. But I also didn’t give them room to grow. They needed sunlight, and a bigger pot. They needed to be uprooted. Sometimes we can be like these plants. We can hold on to things that aren’t healthy for us. We need to make changes, but we don’t. We are comfortable with the way things are, so we don’t do anything at all. And like these plants, we slowly start to wither. Until all that is left is dead leaves and dried up soil. I tried to revive my plants. I tried to being them back to life. I had my hands in the dirt. I could feel the soil under my nails, I could feel the roots of the plant wrapping around my fingers as I tugged them apart, freeing them. Freeing. Sometimes freedom begins from something ugly. Sometimes it comes from something painful. Have you ever been uprooted? It’s a terrible, uncomfortable feeling. Past mistakes haunt you, breaks your heart all over again. I don’t know much about plants, really. But I know that roots are what give the plants life. Firmly planted, healthy roots make a plant thrive. Roots that are all bent and twisted into each other make a plant die. There was no hope for my dried up plants, but there is hope for dried up hearts. God can bring the dead back to life. He can make things thrive. But sometimes, while He’s doing His work, we hurt a little. When we have dried up hearts, the root of it all is sin. If we are unwilling to deal with our sin, our hearts become hard. Have you ever seen dried up soil, desperate for water? It’s so hard it cracks. But there’s hope for our dusted up, cracked hearts. 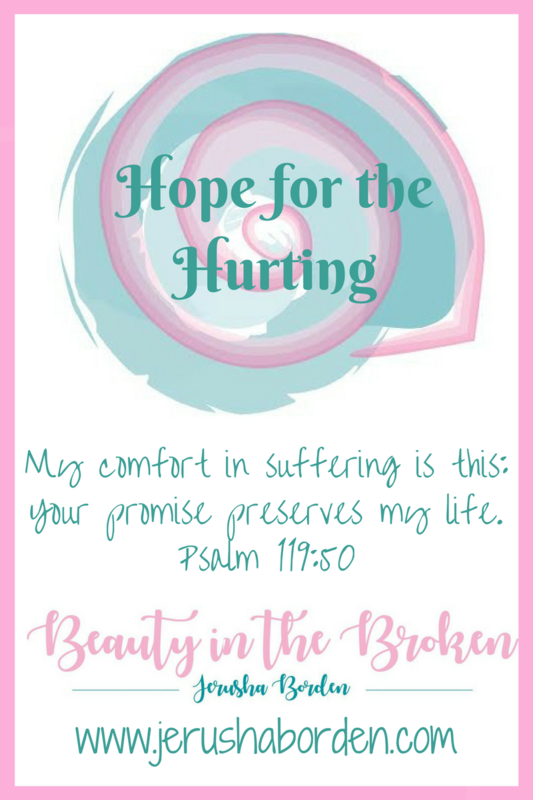 Oh, how beautiful it is to have this hope. How sweet, how resfreshing it is to know that God can wash away our filth and give us renewed hearts. Fresh starts. New beginnings. Yes, uprooting can be painful. It can be ugly, messy and hard. But God uproots us so we can grow and become beautiful. He wants to revive us so we can be His. Our old hearts were ugly and dying, but He restores us so our new roots can go deep. His Love for us will make us strong and healthy. Without our roots firmly planted in Christ, we would be dead and lifeless like my poor house plants. But there is hope for us. My best friend, along with her entire family, have green thumbs. I wanted to have plants like hers, so beautiful and healthy. So strong. She knows what to do with her plants. She knows when it’s time to uproot them. She knows what to do. God knows what to do to. He knows when it’s time to uproot us. Trust His timing. Let Him uproot you, mess and all. Let Him revive your dry roots. And when you keep them firmly planted in Him, you’ll thrive. Fear is a powerful thing. Sometimes it grips you and it doesn’t let go. I never expected to wake up to fear a week ago. But I was still laying in bed when my phone rang and in my sleepy fog could barely make out the words of my husband pleading with me to get out of bed and lock the doors. I mumbled something like “I’ll lock it when I get up” and then heard the words now, shooter and neighborhood. It suddenly clicked. And I was awake. Fear gripped my heart as I woke up sleeping children and quietly hustled them to safety. I had them lie down on my bed in the basement, away from the windows with all the blinds drawn and the bedroom door locked. I locked the front door and barricaded it with a chair. I locked the back door and barricaded it with a table. Because there was someone shooting at people in our neighbourhood. And at the time I didn’t know where he was so I prepared for the worst. We fell in love with our house partly because of this neighborhood. There are two schools within walking distance, a lovely park with a wading pool, several tall trees – and lots of friendly people. We like our neighbours. We talk to each other, we help one another, and we trust each other. So it seemed surreal that our neighbourhood was under lockdown and there was danger in our midst. Danger, and yet the sky was blue. Murder, and yet the sun was still shining. Four people were killed two minutes from my house, on a beautiful morning in a usually peaceful neighborhood. But there wasn’t anything peaceful about that day. Two people in a parking lot getting ready for their day, and two police officers who came to help them. Gone. After a few hours the lockdown was lifted, the murderer in custody. I told my children it was safe, and we let ourselves out of the locked bedroom in the basement. And it struck me – my children had been laying still and silent for three hours. My noisy, animated children had known the danger. They’d understood. It struck a chord with me, that they’d been silent for so long. We watched the television all day. Updates on the investigation, on all that had happened. Somehow, the day came and went. But as the sun set that night, a husband went to bed without his wife and two wives without their husbands. That night, the sky was perfectly clear – but ten children went to bed with one less parent than they’d had that morning. That morning, when I was locked in my basement bedroom with my two children I was calmer than I expected. It is more like me to be afraid, to panic more than I did. But as I laid there in the silence, I whispered these words to my boys but mostly to myself. As these whispered words reached my heart an overwhelming peace filled my soul. Because in the midst of danger, in the midst of fear, it was as if the Prince of Peace was in that room with us. And as the hours wore on and the day became night, I prayed that those families who had lost their loved ones would experience His peace too. But then, later that night a tender hearted little boy crept into our room and whispered he was afraid. What if the shooter came back? Fear made him afaid to sleep in his bed, afraid to be away from us. I sang him a song from my childhood, a song I still sing over myself when fear interrupts my sleep. I will lie down and sleep in peace. He drifted off to sleep after that, and I did too. But here’s the thing – sometimes fear sticks. We went home and he sat beside me on the couch. We talked about all that had happened, too much for him to process from the events the week before. We talked about fear, and how it sticks to you. But here’s the thing – we don’t have to be afraid. Just like the words of that sweet tune and even sweeter Psalm say, He gives us peace and allows us to dwell in safety. Even if we can’t quite get past the fear. Even if the fear sticks. Even if we don’t understand why God also allows tragedies to strike. Even when it breaks our hearts to watch others suffer. Even when we lose someone that we love. Even when we grieve. His peace is our gift. One week ago as I lay with my children, not knowing what was happening but knowing of the danger, I experienced this peace. Today, as I talked to my son, we prayed he would experience this peace too. It’s an everlasting peace. Unexplainable peace. His peace, for us, for all time, through every situation. Fear can be sticky. But His perfect love casts out all of our fears, and He replaces our fears with His peace. We don’t know what will await us tomorrow. We can’t always be prepared for when the next tragedy strikes. But we can continually ask for His peace that goes down deep into our hearts. And with His peace, our broken can start to heal. I love the sound of the vacuum cleaner. I like the constant whir it makes as the motor runs. The pop, pop, pop it makes as it plows through debris, sucking it away deep into it’s belly. This might seem strange, really. Thinking of a vacuum cleaner in that way, but I find it calming. When I was a young girl, after we were tucked into our beds my Mom would bring out her vacuum and clean up after us. Not every night, I’m sure. Still, hearing that vacuum as I drifted off to sleep made me feel safe. I’ve always loved a clean and tidy house. When my house is sparkling clean, I feel like I have my life together. When I was twenty, I had the cleanest apartment in the building. (I think. I mean, I don’t actually know for sure, but it was really tidy). I would clean when I was stressed, and fourth year was all that and then some. I loved going to the laundromat, taking my work with me and listening to the drone of the machines as I studied (okay, okay – I was often distracted watching the clothes going round and round in every dryer). I loved to sort and fold the clothes when they were done. Carefully carrying them home in my basket and putting them away in my drawers. Now I think back to those days and laugh. How easy it was to clean after one person, to do a small load of laundry once a week? Fast forward fifteen years, and I’m cleaning after four people now. On an easy week, I do twelve loads of laundry (on not so easy weeks, sixteen). I don’t mind, really. When I sort and fold the clothes I think of it as a simple way I can love on my family. I still live doing laundry. It’s just, so much has changed and it is different now. Cleaning the kitchen or bathroom used to be easy and fun, because the results were immediate and rewarding. I would get down on my hands and knees and scrub away grime, watching everything wash away like it was a problem I’d solved. Everything so clean and fresh, like a new beginning. Now I walk into the bathroom and I see grime line the floorboards. I walk into the kitchen and I see spaghetti sauce on the side of the cupboard near the garbage can. Sometimes I grab my cloth and scrub it away. Other times, I turn away because I just can’t do it. Because oftentimes, having a chronic illness means you just can’t live like you used to. Honestly, I don’t feel sad or ashamed about what’s happened to my body. I just feel discouraged sometimes. To know what I used to be capable of, and to understand what my limitations are now. My husband has the gift of hospitality. He loves having people over to stay, to come for a meal, or even just for coffee and a chat. I do, too. It fills my heart with joy to spend time with others. But, being hospitable sometimes comes at a cost. And often, whe my husband suggests we have company, it’s a struggle for to set a date. More often than not I have to choose between the super clean house I’d love to have when guests arrive, and actually spending time with my guests. Because in my world, I can’t always do both. I’ve learned to manage over the last few years, as my body started to get worse. I have to work in phases, taking many breaks. It takes so much longer to clean now, and sometimes it is worth it. But other times, I wonder what have I been missing while I cleaned? And more importantly, who am I missing because I cleaned? My mother’s house was (and still is) sparkling clean whenever she had guests. I was always taught to have my house looking spectacular when my visitors arrived. I’m not sure if it was to make them feel special, or if it was just so they wouldn’t know the chaos we usually live in. But the point got through – clean. When I was a child I figured the art of hospitality was a sparkling clean home, a fancy meal and a spectacular dessert. Now, I’ve learned sometimes the art of hospitality is the heart of it. I don’t want to be caught into the trappings of a spectacular house, a fancy meal and a spectacular dessert. But I do want to have guests. I want to spend quality time with them, share a meal, have a few laughs, bring encouragement. I want to be present with people, and not stressed over whether my windows are so clean you can see your reflection in them. I don’t want to give my chronic illness one more reason to keep me from experiencing a rich life. If you ever happen to be a guest in my home, please be gracious. It will be as clean as I can make it so you feel special. The food may not be fancy, but we’ve prepared it with love and are pleased to share it with you. As for the spectacular dessert, why don’t you bring it? We’ll enjoy it together over some tea and talk. Everyone loves summer. Perhaps it is because summer is when people are most likely to vacation. Summertime is a season where people can relax, enjoy the outdoors, explore and have fun. Summertime is carefree, with long lazy days. And the weather is beautiful, sunny and hot. But sometimes, the summer can be difficult. For some, the summertime can be what they most dread. Or maybe it’s just me. A few summers ago, I took my kids to an enormous park in a seaside village not too far from where we live. They were having the time of their lives, exploring, running, laughing, experiencing so much joy. I sat in the summer sunshine enjoying them enjoying themselves. Until a few little words knocked me right off of my joy train. I can’t even repeat the words that were spoken, but they cut deep into my soul. When you have a disability that disfigures you, and causes your entire body to take on a different shape, it’s hard to live life normally. You try your best, but sometimes people stare and make comments that you wish you could forget. And sometimes, you just want to stay home to avoid it all. This day, it wasn’t just staring, or whispered comments. It was someone and their child mocking me and laughing at me as I walked around with my kids, using a cane. Ouch. Words can cut deep. That old rhyme sticks and stones may break my bones, but words will never hurt me is complete baloney. Nothing could be farther than the truth. Because words, once they’re said, can’t be taken back. They’ve done their damage. They’ve cut and wounded. Proverbs 12:18 says, “some people make cutting remarks, but the words of the wise bring healing.” I know that to be true because any time I’ve been cut by words, the encouraging words of friends are like a balm to my heart, where words cut the deepest. But it’s easy to forget those words when you most often hear cutting words. Voices that tell you things you wish you didn’t have to hear. Words of the world. You’re not thin, so you’re not beautiful. You’re not beautiful, you’re ugly. You can’t do things most people can, so you’re worthless. You’re worthless, so just stay at home where we don’t have to see you. Those kind of voices. Those kind of words. Have you heard something similar? Sometimes I get caught up in what these voices are saying. Sometimes I start to believe the words. It’s easy to do, when it’s often what you hear. Words are powerful, but sometimes voices come in a look or an action. Sometimes voices come in a thought that never reaches one’s lips, but is heard loudly all the same. When you hear these words and voices as frequently as I do, they become easier to hear and to detect. In a single day, you could hear up to a dozen different things. Sometimes it gets to me, wears me down and makes me feel the way the words are telling me to. But, sometimes I remember that I have the freedom and the power to walk away and stop those words in their tracks. Because my identity isn’t in these worldly words. My identity is in Christ. I live in a world full of people who are having identity crises. They don’t know who they are, and they’re desperately trying to figure it out. How fortunate are we who know who and Whose we are. And when we know who we are, the words and voices offered up slowly start to be lost among stronger, more powerful ones. You are a child of God. Because you’re a child of God, you’re a daughter of the King. Because you’re a daughter of the King, that makes you a princess. God thinks you are beautiful. He has given you the privilege of suffering and has entrusted you with all that you need to combat the enemy. So fight, beautiful princess warrior. Fight. These words from the King of Heaven slice through the hurt, and repair the wounds from cutting words in one solid movement. Like a dance, swirling me up from the ashes. He whispers words of love that put a new song in my heart. And I know I can confidently walk around in the world with my head held high, because He covers me in His love. Words can hurt. I know with each passing day there will be more insults, more disgusted looks. I know cutting words will be a lifelong companion. But I don’t ever want them to hold me captive anymore, because words of Love have set me free. So when words sting, I’ll look to the One whose words matter most, straighten my figurative crown, and move on. Sticks and stones may break my bones, but words will never hurt me when I’m listening to the words of life and love instead.